A happy new year to all our Customers and Suppliers. There are lots of People considering Air Condioning this year, did you konw that it can supply heating as well as cooling ? phone today and speak to one of our members of Staff on 01268 590198. Considering replacing that commercial kitchen equipment , give us a ring for our competitive prices. Considering having your equipment serviced , then give us a ring today on 01268 590198. Looking for parts only, then give us a ring with your make, model and serial number. We are expecting another busy month when our customers get ready for the Christmas festivities and ensuring that their equipment is running at its optimum performance. We are pleased to be invited to tender on a project for Air Conditioning in the Kensingtom area and a contract for Ventilation in South West London. European Refrigeration welcome James Hill as their new Apprentice in Refrigeration. We welcome another member of staff who joined our helpdesk, expanding our frontline contact with customers. The contract to look after a number of Schools in the Borough of Havering is keping us very busy. Thurrock Council are still using us to look after a number of Schools in the area. European Refrigeration Limited is proud to announce that it has been granted a Royal Warrant of Appointment to Her Majesty The Queen from 1st April 2016. Royal Warrants are awarded to individuals or companies that have been supplying goods or services to the Royal Households of HM The Queen, HRH The Duke of Edinburgh or HRH The Prince of Wales for a minimum period of five years and have always been regarded as demonstrating excellence and quality. The origins of the Royal Warrant date back to the 15th century. Today, there are around 800 holders of the Appointment, representing a huge cross-section of trade and industry. We are absolutely delighted that we have been recognised by the Royal Household in this way. We have now entered Spring and you should consider servicing all of your refrigeration equipment to ensure it is operating efficiently for the forthcoming busy months that lie ahead. Give our help desk a ring to discuss a maintenance plan to give you complete peace of mind. You may be considering air conditioning, this is a good time to buy and install before the sudden rush. A happy new year 2016 to all our customers old and new. We are rapidly expanding, offering our clients unrivalled service and response times, if you are considering changing your service provider then we would welcome the opportunity in speaking with you. A new engineer has joined us this month helping us to provide reactive breakdown cover to many of our clients in London and the surrounding area. We are proud that we have now secured the LCSG contract for four years which covers 7 boroughs and over 500 schools. We continue to offer the high standard of service that our customers expect. Our engineers are fully trained on Hydocarbon use. Our full coporate brochure is now available on line. 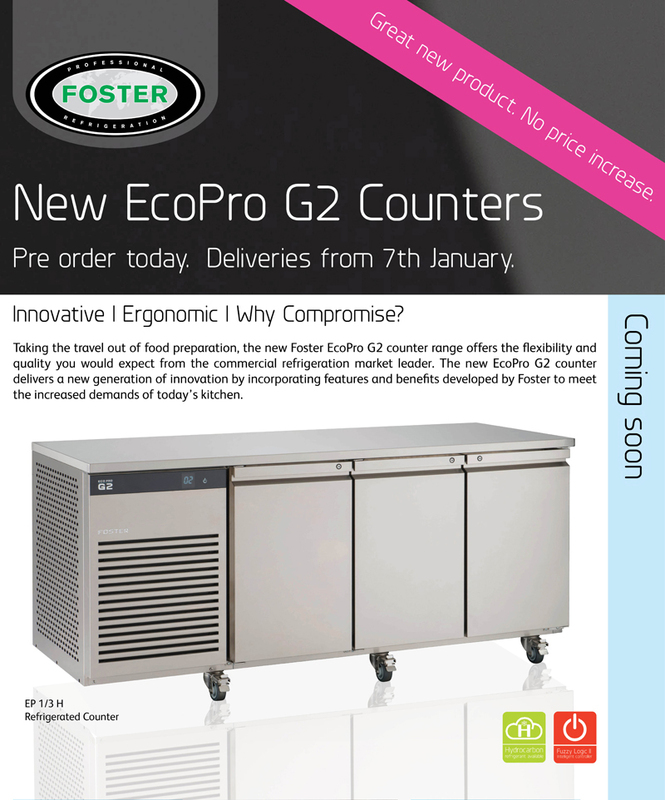 We will be exibiting at The Restuarant Show at Earls Court on 6th - 8th Ocober 2015 come and visit us on the stand. Please click on ad to link for FREE entry to show. We have now added Facebook and Twitter accounts to our site. We are pleased to announce we are now selling GRAM refrigeration equipment - please contact us for prices ? We launch our Air Conditioning energy assessments for all buildings with air conditioning exceeding 12 kw output (see our air conditioning page for more information) Your first assessment should have been January 2011. We are now Corporate Bronze business club members of the WWF. European Refrigeration Ltd is proud to be a member of WWF-UK’s Business Club – a community of enterprises who are supporting WWF-UK’s urgent work. By joining WWF’s Business Club, European Refrigeration Ltd is raising vital funds to help WWF’s mission – to build a future where people live in harmony with nature by conserving biological diversity, promoting sustainable use of natural resources, reducing wasteful consumption, cutting pollution and carbon emissions. Find out more about WWF’s work. We are pleased to announce that we will shortly be offering all our customers the same service sales and repair facility to Catering equipment including Gas and LPG. OCT 2012 We are actively seeking applications from Local Charities who would like our support.